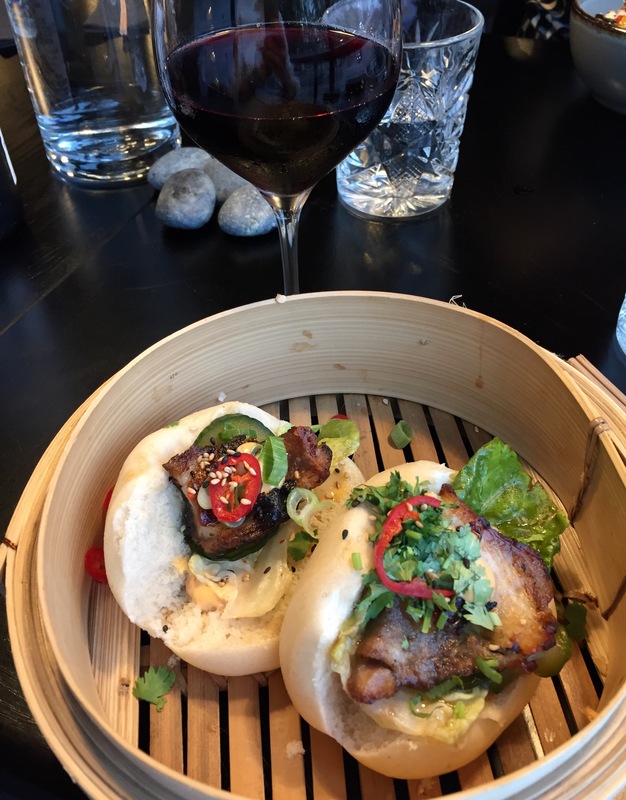 Säm – Asian Bar and Kitchen bistro was opened in Helsinki at the end of August 2017 by a former 2 Michelin star chef Hans Välimäki and Restamax Group. Restaurant Säm is part of Asian cuisine complex. It is located at the ground floor; at the 2nd floor there is Masu – Asian bistro. Masu tries to be more sophisticated but also relaxed. 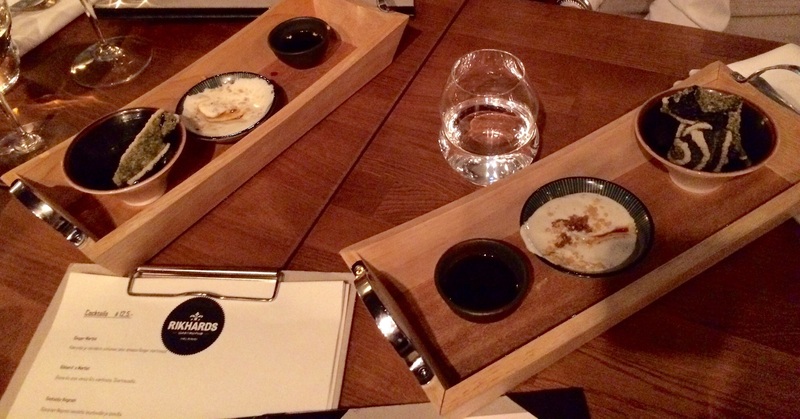 Visited Masu 3 weeks after it was opened, review can be found by using search. Originally the idea was that Säm serves more like street food. However, many of the dishes and their prices are the same in both spots. That applies to wine list too. Decided to try order “small dishes” for starter. 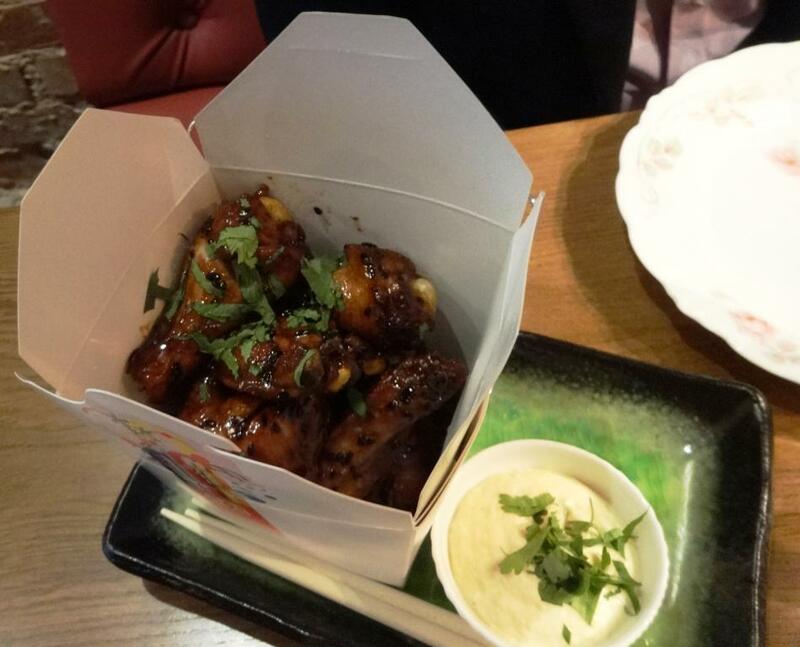 Chose Nonohana Rabe Broccoli in soy-chili sauce, garlic, sesam and kewpie mayo and Sticky “Vietnamese style” chicken wings Crispy fried and glazed chicken wings 3 pcs. Unfortunately small dishes came at the same time as main courses. So, do not order them as starters. Broccoli dish was tasty, amount of mayo actually helped in that. Wings were exactly as they were described on the menu, very delicious. Mayo dip matched well with them. For main courses had Hot Paa Naam Tok Mushrooms in sesame oil, soy, lemon grass, chili, mint, lime and roasted garlic and Ramen Roasted pork ribs, vegetables, kimchi, nudels and lots of goodies…. Vegan dish was huge and because that it became cold too soon. Dish is quite diversified when it comes to herbs and spices. Difficult to find main taste. As nudels in Ramen were more like thick spaghetti, they were extremely difficult to eat with sticks. Second problem was to overwhelming broth which was easy to drop and splash on your clothes. Unfortunately taste was too mild for Asian dish and pork was quite greasy. Wine list, when it comes to red’s, is quite short and prices are quite expensive for casual bistro. Tried one of the few full-bodied, Saint Cosme Côtes-du-Rhône 2016 from France. This vegan wine produced from Syrah grapes paired well with all dishes although the tastes of dishes were quite modest. However, the price for this kind of food is too expensive. 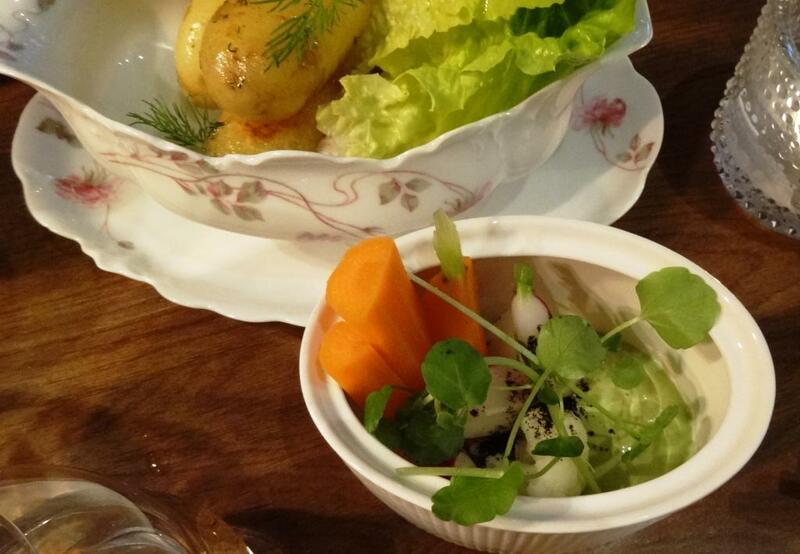 Portions are well prepared and stylish looking. Main courses are quite large, which means that you do not necessarily need additional side dishes. Several vegan options was also positive. Last time when we ate at Masu, there were only sticks on the table when you arrived. This time also spoons were given right away. Location is perfect, try to get window table and you see the Park Esplanade, Swedish Teater and restaurant Teatteri opposite to Säm. As portions did not taste as Asian as they should, can not give more points for food. Expected more use of spices and herbs. Both Säm and Masu mention on they web-site that they are for Finnish taste, might be then difficult to compete in the future with more taste rich Asian restaurants. 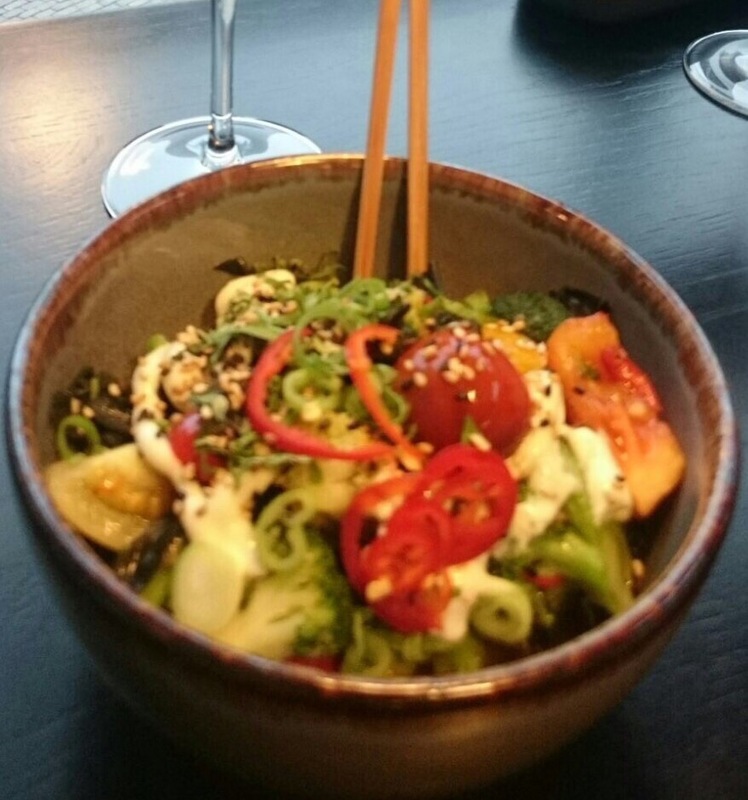 Masu Asian bistro was opened in Helsinki at the end of August by former 2 Michelin star chef Hans Välimäki and Restamax Group. 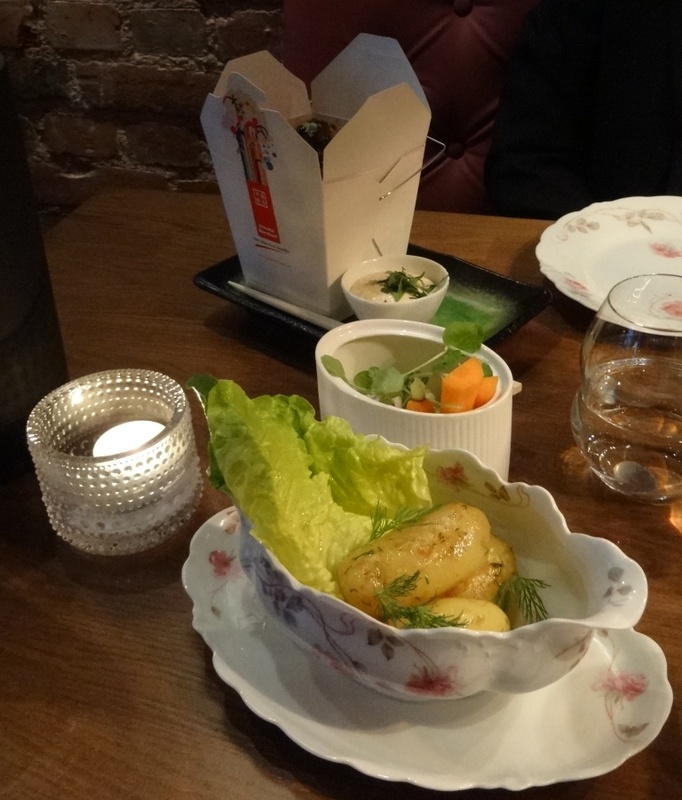 Masu has been operating in Tampere several years and now it arrived to capital city. Restaurant Masu is part of Asian cuisine complex. 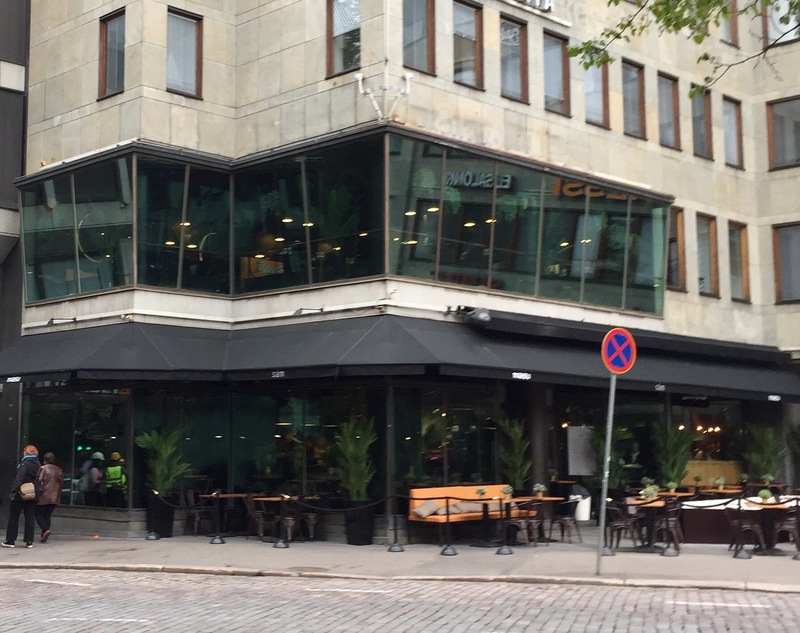 It is located at the second floor; at the first floor there is Säm – Asian bar & kitchen. Masu tries to be more sophisticated but also relaxed. Säm serves street food, you actually walk trough it when entering to Masu. However, many of the dishes are same in both spots. In the past at the same location was Italian restaurant Vespa, but it seems that concept was not any more successul. You can choose 4 or 7 course dinner but ordered first starters Pork Buns Miso grated roasted pork loin with pineapple salsa and warm Nanohana rabe and Nakame seaweed salad Broccoli, tomatoes, marinated seaweed with garlic-sesam dressing. Buns were delicious, pork crispy and tasty. Salsa matched well to this dish. And must say that 2 pieces is a lot for starter but this can be ordered also as main course. The warm salad was tasty, and because of the soy and seaweed, a bit too salty. The portion is big for a starter. 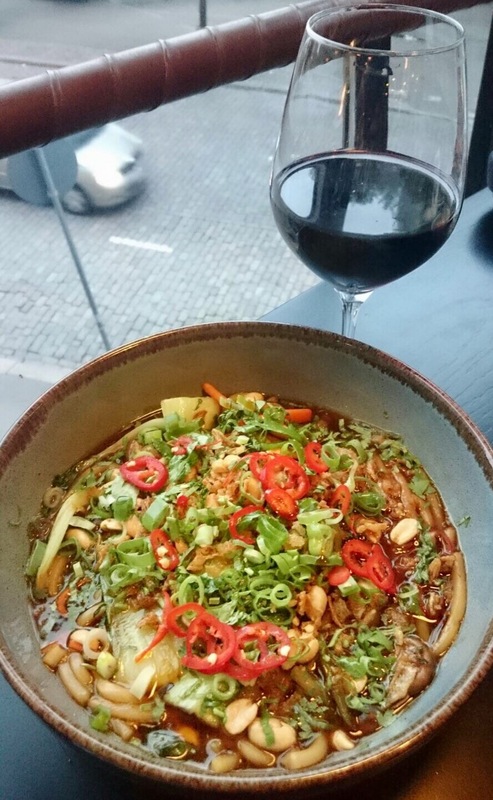 For main courses had Ca Kho To Fried crispy pike perch, broccoli, tamarind, soy-chili caramel and black radish and Hot Paa Naam Tok Mushrooms woked in sesam oil, nudels, soy, leon grass, chili, mint, roasted onion and peanuts. Pike pirch was extremely well prepared, crispy but not dry. Combination of spices and ingredients paired perfectly. But as there was already noodles in the bowl, there was no need to add Gohan as side dish. Would not have ordered rice if waitress would not have asked. The portion is big; plenty of vegetables and noodles. 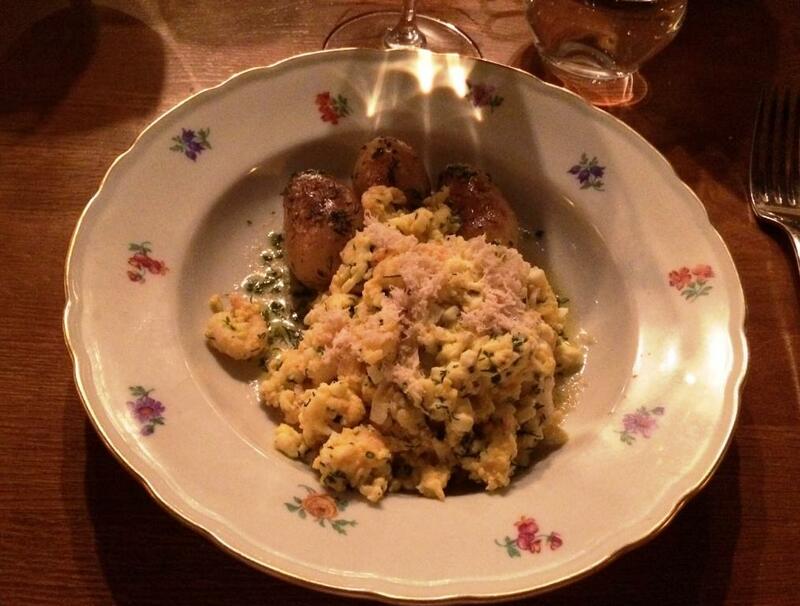 The dish mentions the mushrooms as the main ingredient, but there were not many to be found. The taste of the starter was too similar to this main dish. Ordered also Kimchi as side dish but as portions were that big just tasted it. Dessert was Banana King Kong. Had to order that because of the name! Deep fried banana, salt toffee and vanilla ice-cream was delicious. Can recommend it! 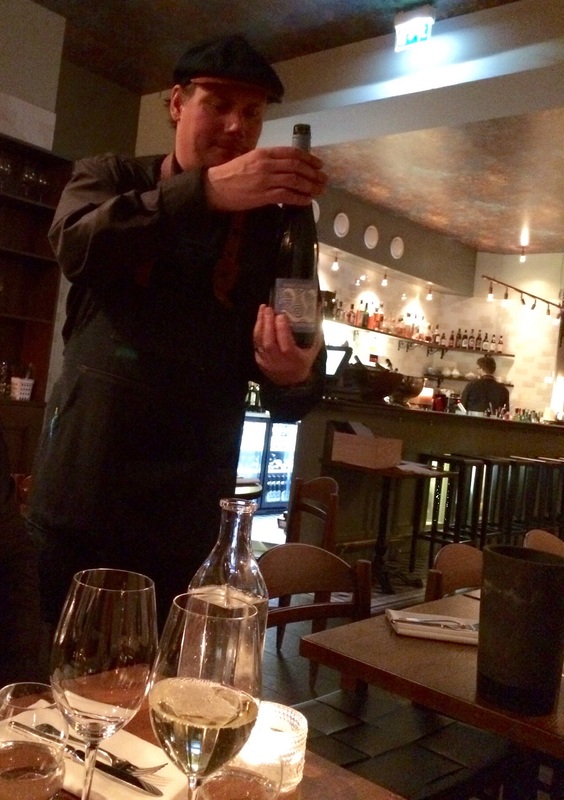 Wine list, when it comes to red’s, is quite short and prices are quite expensive for casual bistro. 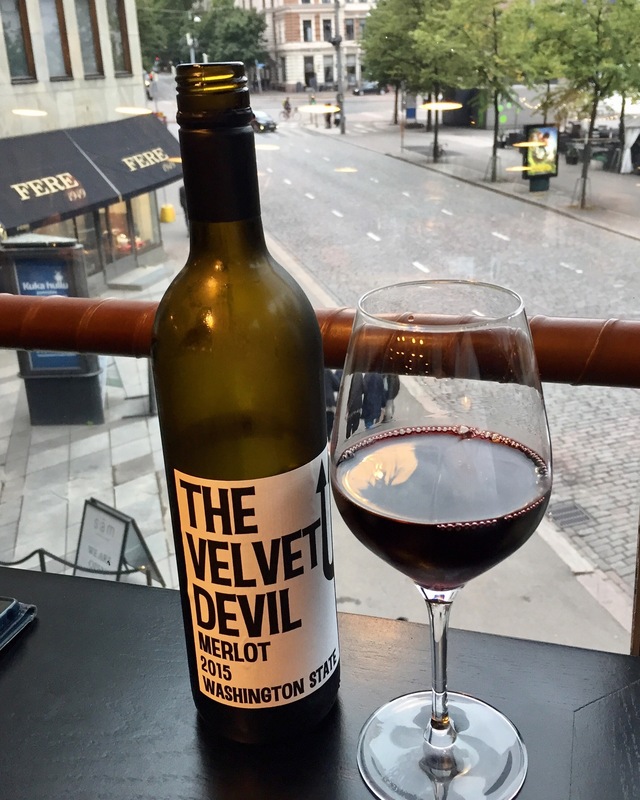 Had so familiar The Velvet Devil, which is one of the favourite Merlot wines. Portions are well prepared and stylish looking. Main courses are large, which means that you do not necessarily need additional side dishes. Several vegan options was also positive. As there are only sticks on the table when you arrive, would have appriciated spoons with main courses and fork with dessert, got then only small spoon. As ordered main courses were partly like soups, it would have been nice to have few sips of the broth. Also needed finger with dessert to help with. One could also ask for those but practiced service should notice those beforehand. Location is price, remember to ask window table and you see the Park Esplanade, Swedish Teater and restaurant Teatteri opposite to Masu. 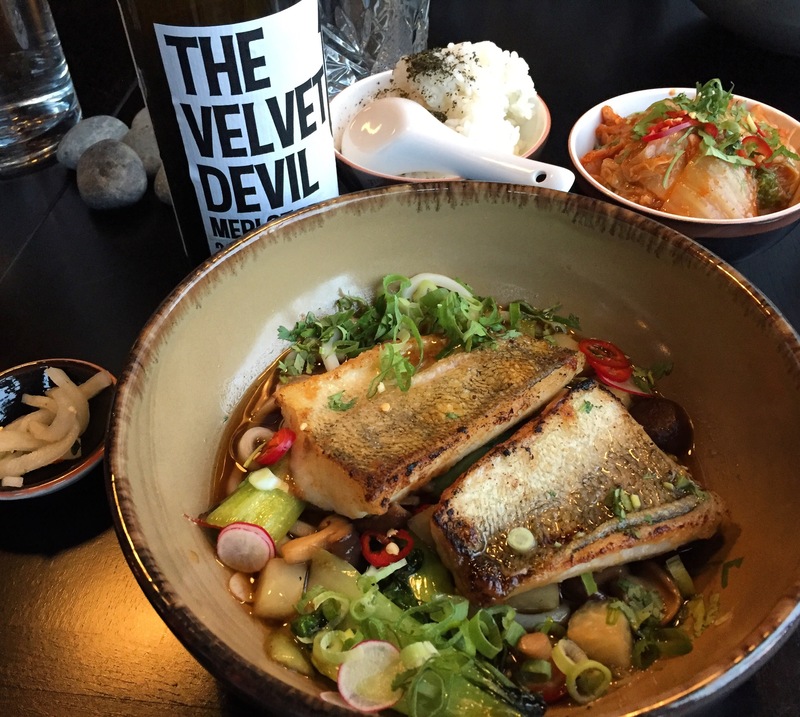 With some fine-tuning Masu will be one of the top Asian cuisine restaurants in Helsinki. Our second visit was 6 months after opening. This review focuses on Menu of the day, which two of us tasted. The price for menu is 49€, which might open up door for Michelin Bib Gourmand label. A la carte menu included most of the portions, which were on it 6 months ago. From starter or snacks section Chicken wings and New potatoes with Haugesund herring had dissappeared. It is a pity, because can not remember better tasting wings anywhere. Had to start the dinner again with POP CORN which last time was pleasant surprise. The consistent excellent quality of this delicious apetizer was still there. Seaweed and chicken skin served with sesame, soy and truffle sour cream is a perfect combination. Menu of the day included for starter Mussels, for main course Beef tenderloin and for dessert sweet dish. Moules in white wine sauce with thyme, garlic, cream, bacon and butter were scrumptious because of sauce and add-ons. 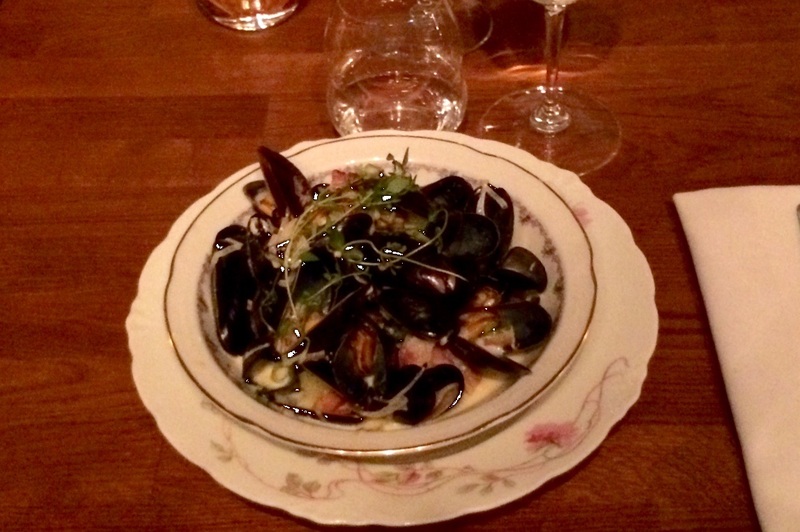 Mussels are enjoyable anyway, but when they are cooked in a stock or more like a soup, they really make your mouth drooling. You can buy this portion also as main course, which is one option to enjoy shell fish. Starter was served with ”friend fries”, garlic mayonnaise, spicy peanut butter sauce, and toasted rustic bread. Main course Beef tenderloin was served with French fries, green beans seasoned with bacon, Béarnaise sauce and fresh green salad. Amount of meat was extravagant. I can not remember that would have ever got so huge amount of beef tenderloin or any other meat anywhere. 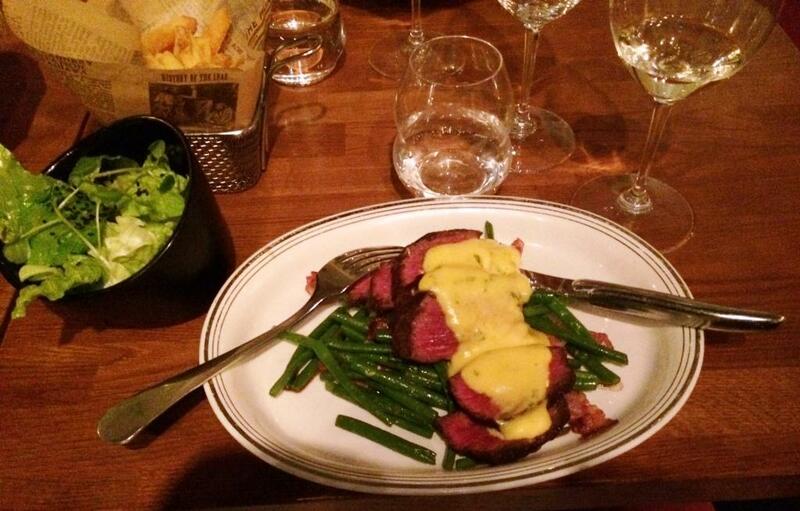 After eating that pile of meat with delicious bearnaise sauce and glass of red wine, dinner could have ended there. Therefore no pictures about dessert although had to, of course, eat it. 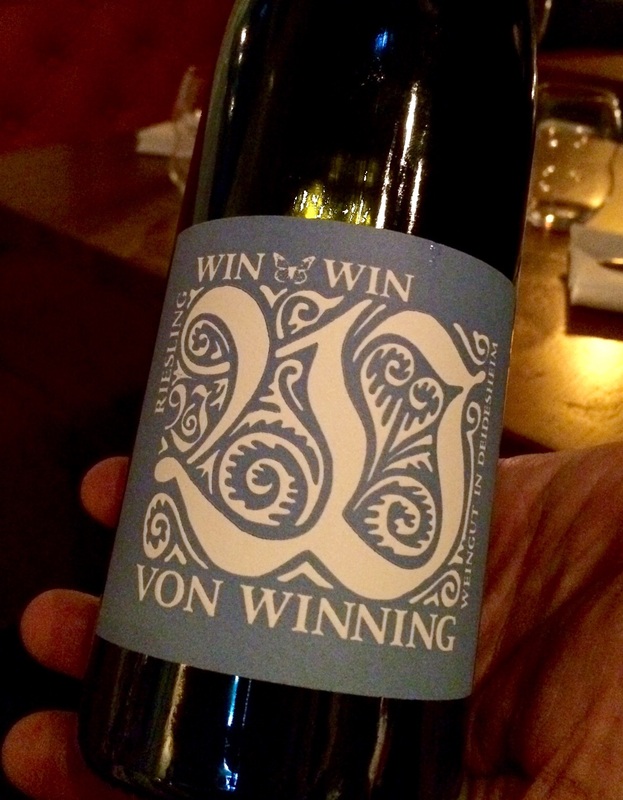 For wine we chose WIN WIN from German weingut von Winning. Elegant bouquet and balanced taste paired well with mussels and codfish. Two of us had Torskrygg for main course. Picture on the left is from last visit and on the right from this visit. Excellent dish again, maybe the sauce included now some lactose, as it was left away. Food at Rikhards Gastropub was again excellent. You get with only 49€ excellent gourmet dinner, if you choose Menu of the day. Service was again professional and polite. Gentlemen serving us did great job and get special points for outfit. Had to improve grade even though scores were high already last time. It seems that Restamax is actual owner as restaurant webpage is now located on their pages. 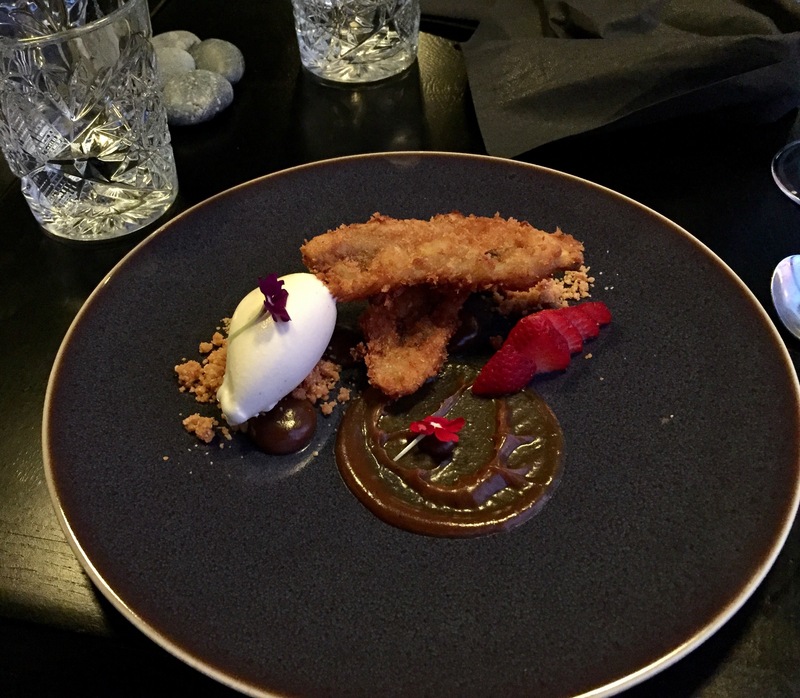 Restaurant review: Rikhards Gastropub – Chef Hans Välimäki is back! 2 Michelin star chef Hans Välimäki is back in business with new restaurant concept. Restaurants were opened early May in the same building where Chez Domique located. 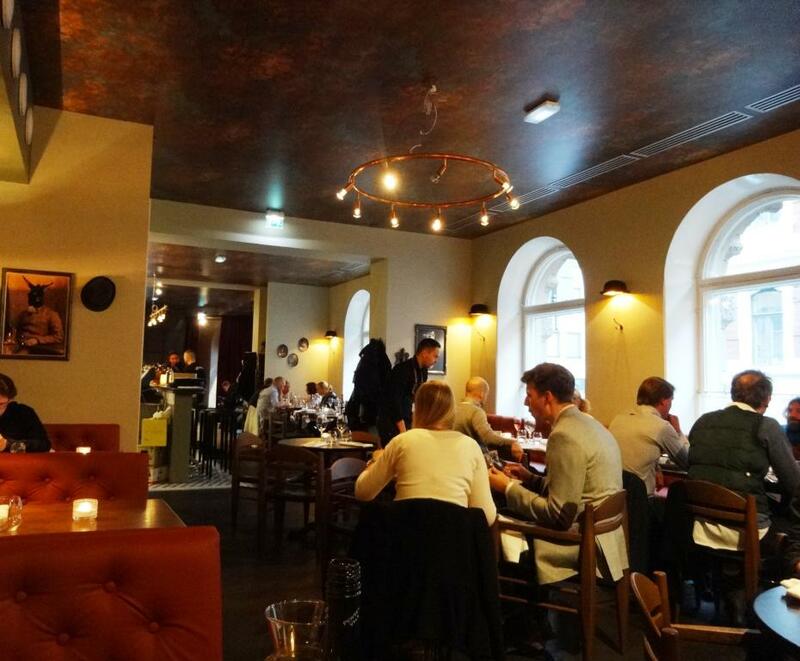 Välimäki is fine dining restaurant with only 8 seats and Rikhards Gastropub more casual place, but with a touch of gourmet. As we received early warning that bookings can be made, we managed to get table less than two weeks from opening of Rikhards. 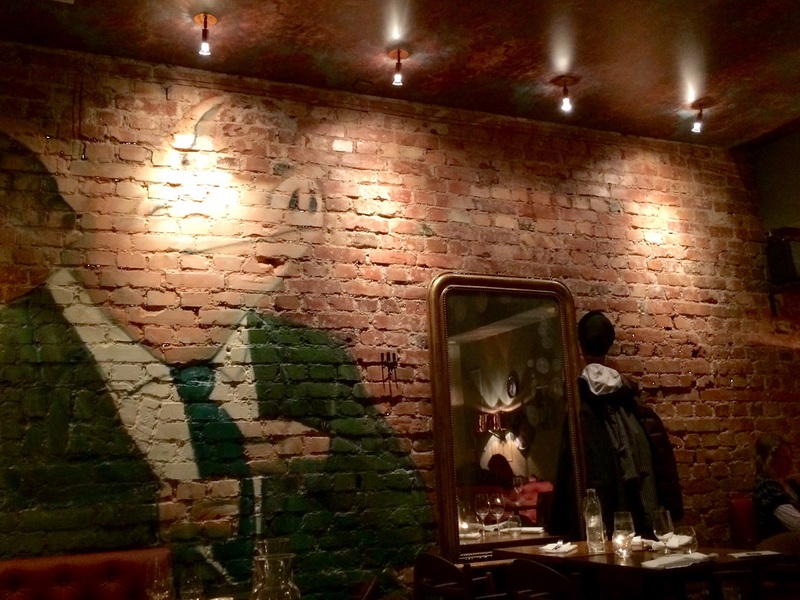 Decoration of Rikhards Gastropub is like name indicates; pub-styled, masculine and a little bit gloomy. Customers had not yet totally found restaurant, as there were empty tables in the late evening. Restaurant Välimäki was behind closed doors, but it seemed to be booked-up. 1st Tasting menu with wines costs there a little bit over 300€ per person. For starters decided to try 4 different portions: ”BAGNA GAUDA” Tarragon & watercress dip w/ season’s vegetables à la Master Ducasse…, ”POP CORN” Seaweed & chicken skin served with sesame, soy & truffle sour cream, SPICY CHICKEN WINGS (HV´S CHICKEN BASKET) Served glazed with kimchi mayonnaise. “Sticky fingers…” and NEW POTATOES WITH HAUGESUND HERRING New potatoes, dill butter & herring caviar. Waiter suggested to start with “Pop Corn” which was brilliant idea. The dish, you can not get in any other restaurant, was extremely interesting; tasted like pop corn but fortunately impossible to find out taste of chicken skin. Eaten with fingers this starter with dips was excellent. “Pop Corn”, would say is more or less appetizer, because you do not seem to eat anything, threfore it requires another starter to accompany. Then we tasted herring caviar with potatoes. Caviar was hidden under the potatoes and “oh boy” it was delicious. Must have been smash hit on May Day lunch! 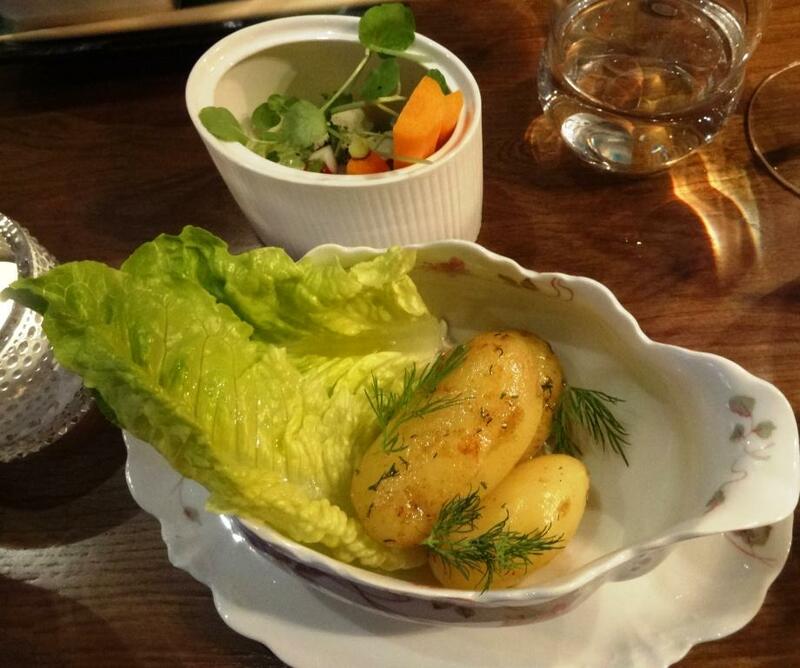 As starter has three potatoes, you would not necessarily need to order any other starters. Then chicken wings, suitably spicy and not too sweet; with mayonnaise really scrumptious combination. Ended starters with fresh vegetables; again the dip was excellent. 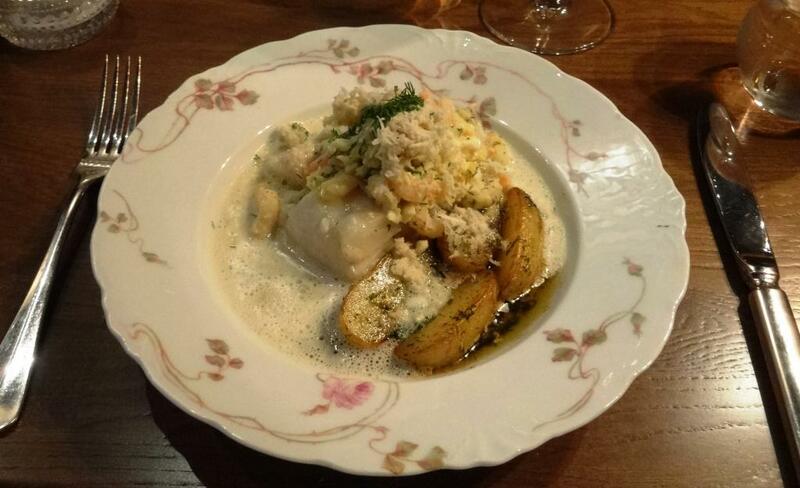 For main courses we had ”BANGERS & MASH” Salsiccia sausages with potato mash, cucumber & gravy of course… and TORSKRYGG A Swedish classic: codfish seared in brown butter, egg, shrimps, horseradish & velouté sauce w/ dill & mussel. 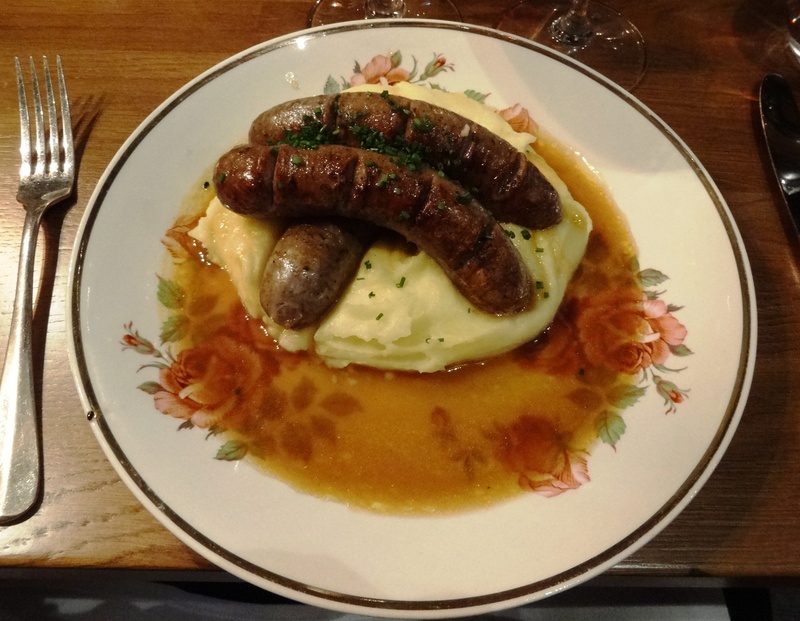 Three big, luscious and suitably flavored Italian sausages where on the top of mashed potatoes. Must say that if you want to eat all three, take light starter. One mistake was that cucumbers were forgotten, which made the portion look really simple. Codfish was also delicious. However, the amount of sauce could have been smaller. It seems that main courses are quite sturdy, which suits to the concept. After Salsiccia sausages (could not eat all three) and codfish still had to try desserts and ordered KAKKUPALA Piece of cake with the sauce you wish and ICE CREAM & SORBETS. Lemon tart (Kakkupala) was perfect, especially meringue made in the restaurant kitchen, was great. 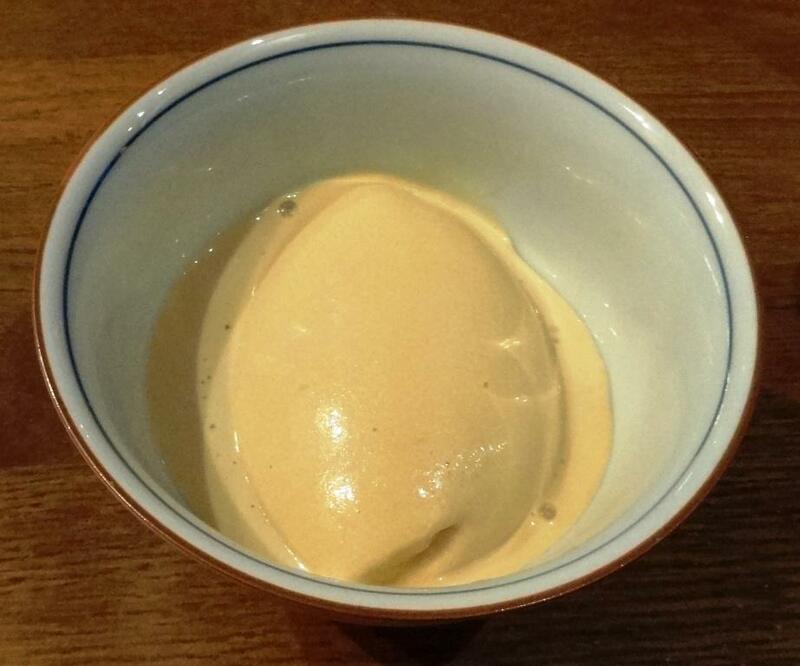 Ordered first toffee ice-cream, but as it was too salty for dessert and got vanilla ice-cream instead. Food in Rikhards Gastropub is excellent. Hans Välimäki fills the bill which might be quite high due to his previous success. 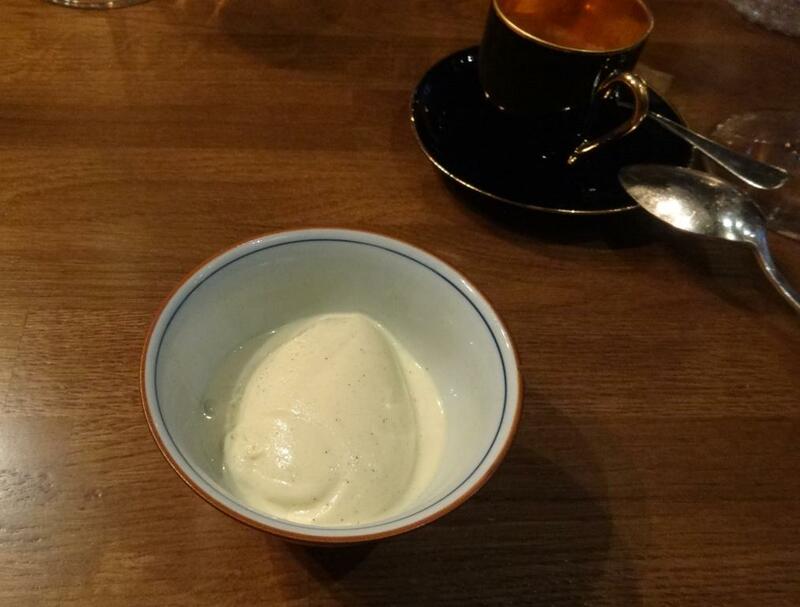 Without those two small slip up’s (forgotten cucumber and toffee ice-cream), food grade would have been close to 5. Service was professional and polite. I have seen too often hypocritical, over-lively service leaving sometimes feeling you are treated like a child. Here it was better. Overall grade would be higher, if pub interior would be more soft. And when confirming reservation, restaurant mentioned that table is reserved for 2 hours, which is quite short time for aperitifs, 3 course meal and coffees. 2 1/2 hours would be worth of 4,5 out of 5.